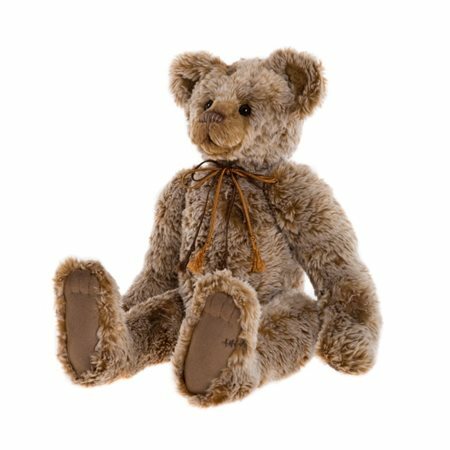 Burma has a very traditional design and has been created in a tufty styled fabric to give him an aged look. I am sure you will agree this creates a look for him like some of the old bears you remember from your childhood. He is fully jointed and has chunky paw pads with toe stitching detail. His hand trimmed face and glossy eyes really add to his character and we have overstitched on his embroidered nose with a colour coordinating thread and added shoelace styled accessories to this elegant bear.